In a Car Accident? Learn What You’re Entitled To. Being involved in a car accident is a scary experience, especially when the car accident results in losses. Car accidents have the potential to cause physical injuries, emotional injuries, and property damage. Depending on the specifics of your case, you may be entitled to compensation for all of your losses, both economic and noneconomic, depending upon fault. Wondering What You’re Entitled To? What Are You Entitled to When You Are at Fault for an Accident? What Are You Entitled to If You Are Not at Fault for a Crash? What Are You Entitled to If You Are Partially at Fault? 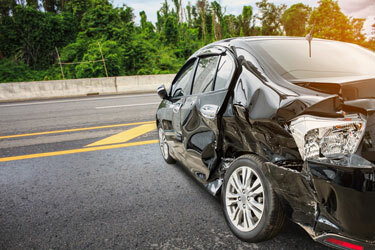 Collision coverage, which pays for damages to your vehicle after a crash. In order to hold the other driver liable for your losses, you must prove that your injuries would not have occurred but for the other driver’s negligence. If you are partially at fault for a crash, you can still seek all of the damages types listed above if you were not 51 percent or more to blame for your injuries. However, your recoverable damages will be reduced in proportion to your degree of fault. For example, if you were 10 percent at fault for a crash and you are seeking damages for medical expenses, the costs of a car, and your physical pain, you can still seek all of these but the total amount recoverable will be reduced by 10 percent. If you are 51 percent or more at fault, however, then your right to recover damages from the other party is forfeited, and you must turn to your own insurance company (discussed above). At the law offices of Sutliff & Stout, our experienced Texas personal injury attorneys are here to help you recover the maximum amount of compensation possible. You are entitled to every penny lost when another party’s negligence is to blame for your harm. To learn more about your rights and how to recover the compensation you are entitled to, request your free consultation with our law offices today.